Your students have only ONE opportunity to show their favourite universities how enthusiastic and suitable they are for their chosen course. 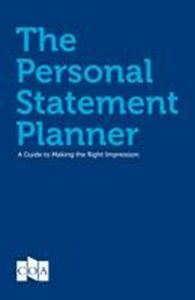 Part textbook and part workbook, the Personal Statement Planner is designed to be referred to and written in, and is an invaluable new way to help applicants make the most of their one chance to impress. Available for schools in packs of 20.